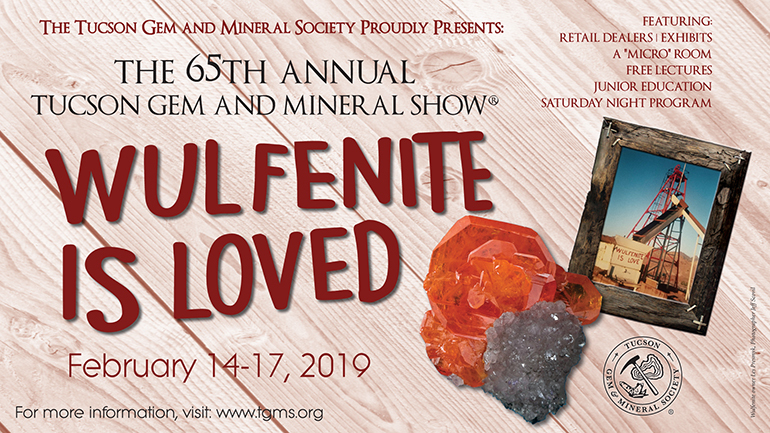 The A. E. Seaman Mineral Museum was exhibited at the 65th Annual Tucson Gem and Mineral Show held Feb. 14 -17, 2019. The Tucson show is the largest and most prestigious gem and mineral show in the world. The theme of exhibits this year was “Wulfenite is Loved.” The museum’s exhibit fit with the theme and was titled “How does wulfenite form?” It featured text, graphics and mineral specimens to explain and illustrate the formation of wulfenite. Mineral specimens were used to emphasize how primary sulfide minerals are oxidized to form wulfenite. In addition, a suite of mineral specimens that form in the same environment and are associated with wulfenite were included in the exhibit. The museum’s exhibit was awarded the “most educational exhibit by an institution” from Friends of Mineralogy, a non-profit, national organization founded in 1970. Kazuya Fujita, a professor in the Department of Earth and Environmental Sciences at Michigan State University, has been awarded the 2019 Charles A. Salotti Earth Science Education Award sponsored by the A. E. Seaman Mineral Museum and the Michigan Earth Science Teachers Association (MESTA). 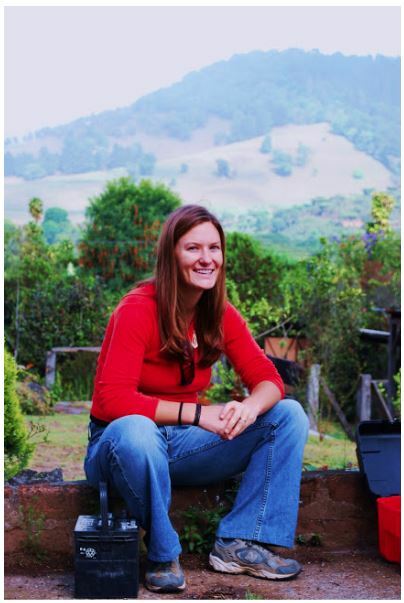 The award is in recognition of excellence in informal Earth science education and mentoring. This award has been made since 1999, with support of the Edith Dunn and E. Wm. Heinrich Mineralogical Research Trust, the A. E. Seaman Mineral Museum and the Salotti family. Chuck Schepke, a secondary teacher in Roscommon, Michigan and past MESTA President, was the MESTA Chair of the Charles A. Salotti Earth Science Education Award committee. 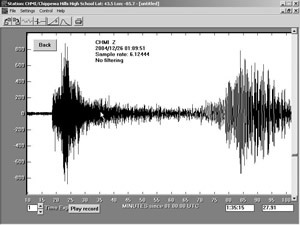 He cites Kazuya for his “efforts in organizing and supporting MiQuakes Teacher Seismology Network through MESTA and IRIS and providing Earthquake Workshops for K-12 teachers and these only begin to show the impact Kazuya has had on geoscience education in the State of Michigan and at the National level. By A. E. Seaman Mineral Musuem. Simon Carn (GMES) was quoted in the story “From NASA Goddard Space Flight Center: ‘2018’s Biggest Volcanic Eruption of Sulfur Dioxide,'” in sciencesprings. The story was also covered in Long Room, What’s Up with That? and Science Daily. Read more at sciencesprings, by Jenny Marder. The Marshall Academy students pose with Ted Bornhorst (left of center). The Michigan Earth Scientist, journal of the Michigan Earth Science Teachers Association (volume 52, number 4, fall 2018) cites the A. E. Seaman Mineral Museum and Ted Bornhorst, executive director, in an article by Richard Green of Marshall Academy which describes a student geologic field trip to northern Michigan. When we first met Dr. Bornhorst at the Seaman Museum, he guided us through its many galleries, explaining the theme of each one and how that theme was reflected in the different exhibit cases. He also took us to the museum’s rock garden, where the students saw large examples of the rocks they’d previously known only as textbook pictures or small fragments used in their laboratory work. By showing how their physical appearance revealed the way they were created, he made the abstract academic knowledge many had already forgotten perceptible and memorable. We even saw a true specimen of our own Marshall Sandstone for the first time, buried by till where we live and concealed by it. Read more at The Michigan Earth Scientist, by Richard Green. Example of silver and copper from the White Pine mine. Nearly all of the world’s major mineral museums have one or more donated private collections that provide the foundation upon which they build a museum collection that is greater than the sum of its parts. With a recent and most generous donation of approximately 1,000 specimens, Lance T. Hampel, president of Hampel Corporation, a Germantown, Wisconsin-based plastics manufacturing company, has provided the museum with such a foundational collection and continues to be one of its principal benefactors. Hampel previously donated more than 1,600 superb specimens in 2006 and 2007, and also supported construction of the main museum building at 1404 E. Sharon Avenue. The following descriptions highlight some of the more significant worldwide specimens in his recent donation and are already on exhibit in the museum’s Mineral Treasures Gallery. Perhaps the most significant individual specimen is a 50 cm wide by 30 cm tall group of calcite crystals from the Shullsburg, Wisconsin, lead-zinc mines, and is among the finest large calcite specimens ever recovered from the Shullsburg district. Another calcite of similar proportions from the Elmwood mine, Carthage, Tennessee, is particularly noteworthy for its size (43 cm tall) and golden color, making it a world-class specimen with considerable visual impact. The Ojuela Mine, Mapimi, Durango, Mexico is a famous locality from which Hampel has donated a spectacular plate of yellow-green adamite crystals, 22 cm long. Trepca, Kosovo, is another well-known mining district, from which Hampel’s recent donation included an excellent suite of hydrothermal vein specimens of calcite, quartz and a variety of sulfide species. Tsumeb, Namibia, has been called the finest mineral locality in the world, and is underrepresented in the museum’s collection. Since the closure of the mine, large museum-quality specimens are virtually unobtainable. This is especially true for an outstanding 23 cm specimen of bright green crystals of dioptase on white calcite in the donation, of which together with a 17 cm plate of duftite, results in a significant improvement for the museum’s Tsumeb holdings. The quality, depth and breadth of the museum’s collection of crystallized native copper from the world’s premier locality, the Keweenaw Peninsula, is unmatched in the world. The Hampel donation contains a significant number of attractive native copper and silver specimens from the White Pine Mine, Ontonagon County, and several are better than the many high-quality specimens already in the museum’s collection. By the A. E. Seaman Mineral Museum. 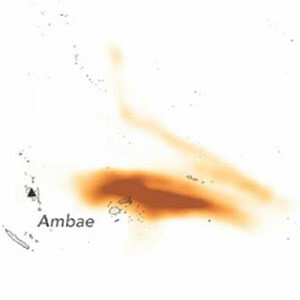 Flow from an effusive volcanic eruption, courtesy of USGS. Simon Carn (GMES) was quoted in the article “Why Is a Climate Change Skeptic Headlining Science Conferences?” in the Daily Beast. Carn refutes statements made by retired geophysicist Peter Ward that volcanic eruptions, not greenhouse gasses, are responsible for climate change. Ward made the comments in an address to the Geological Society of America. Why Is a Climate Change Skeptic Headlining Science Conferences? The Geological Society of America—the country’s premier research and professional organization for geologists—met in Indianapolis earlier this month. Amidst the otherwise nerdy, sleepy lectures on volcanoes, rocks, and other natural formations was one from Peter L. Ward, a retired geophysicist, who delivered a talk on how volcanic eruptions—not greenhouse gases—are behind climate change. That’s odd, since the role of greenhouse gas emissions as the primary cause driving climate change is universally backed by scientists. “Peter Ward has claimed that ‘all’ volcanic eruptions deplete ozone, including the type we call ‘effusive,’ like the eruption of Kilauea that occurred last summer in Hawaii,” volcanologist Simon Carn, an associate professor [now full professor] at Michigan Tech, told The Daily Beast. Read more at the Daily Beast, by Bahar Gholipour. The A. E. Seaman Mineral Museum announced the generous donation of a collection of minerals from Richard and Bonnie Robbins. Richard graduated with a bachelor’s in mechanical engineering from Michigan Tech in 1956. He assumed leadership of the Robbins Company, specializing in tunnel-boring technology including boring of the “chunnel” beneath the English Channel. Michigan Tech has recognized Robbins for his professional achievements and university engagement, including the Board of Control Silver Medal in 1990, Distinguished Alumnus Award in 1994, Honorary Doctorate of Engineering in 1996, National Campaign Chair for the 1999-2002 Leaders in Innovation Campaign, which raised $135 million, and the 2001 Melvin Calvin Medal of Distinction. 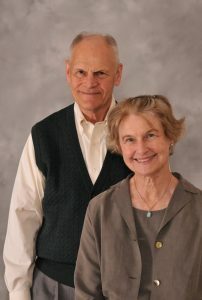 Robbins and his wife Bonnie have established the James S. Robbins Endowed Scholarship in honor of Richard’s father and three endowed faculty chairs, the Robbins Chairs of Sustainability. Richard Robbins had a passion for collecting smoky quartz crystals. His collection includes outstanding specimens from classic smoky quartz localities in the Swiss Alps including a high-quality clear smoky quartz crystal rising off white quartz from Uri, Switzerland. Another particularly notable specimen is a dark smoky quartz crystal with a white cap and fibrous tourmaline from Senora, Mexico. His collection includes multiple smoky crystals from Brazil with one large crystal showing hopper growth, as well as crystals from Himalaya, California, Montana, Pakistan, Tunisia, Arkansas, and New York. A large cluster of smoky quartz crystals on microcline from Colorado was still on display in the lobby of Robbins Company before the collection was shipped to Michigan Tech this past summer. This specimen is now on exhibit at the museum. In his youth, Robbins spent lots of time prospecting for his father in Alaska. He recounts collecting jade from “Jade Mountain” in the Baird Mountains of the Brooks Range just north of the Kobuk River drainage in Alaska. In addition to the smoky quartz collection, Richard and Bonnie donated 275 lbs of Alaskan jade to the museum. The smoky quartz and jade represent significant additions to the museum’s collection. “I’m particularly pleased that the museum can preserve the legacy of Richard’s passion for minerals,” says Ted Bornhorst, executive director of the museum. The A. E. Seaman Mineral Museum announces the opening of its newest gallery “Mining Minerals.” Many of the minerals in Michigan Tech’s collection are by-products of mining. The Mining Minerals gallery complements the adjacent “Minerals and You” gallery which demonstrates how minerals are important in our everyday lives through four exhibit cases showing many examples of uses of minerals, an exhibit case focused on minerals used in your car, and one focused on the uses of copper. Since minerals come from mines and they are a critical component of modern life, the new gallery is designed to help visitors better understand the entire mining cycle from beginning to end. 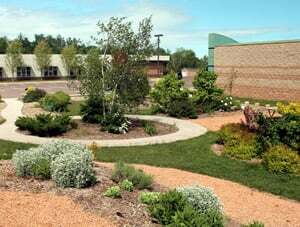 “A gallery focused on mining fits well with Michigan Tech’s origin in 1885 as the Michigan Mining School and with the museum’s mission to educate people about minerals” says Ted Bornhorst, the musuem’s executive director. The new gallery consists of five exhibit showcases beginning with an outline of the types of Earth resources and an overview of the mining process. The second exhibit case presents the activities necessary before a mine is created from exploring to discovery of a potential mineable resource which is followed by intense studies including design of the mining facility, environmental considerations, economics, mine closure and application for a mining permit. Once the permit is approved, then the mining industrial complex can be constructed for an open-pit or underground mine as described in the third exhibit case. Mineral resources require simple to complex processing to make them ready for industrial applications as illustrated in the fourth exhibit case. The last phase of the life of a mine is closure, the fifth exhibit case. The mine closure exhibit touches upon removal and repurposing of the surface mining infrastructure, reuse of non-hazardous mining waste and minimizing the impact of hazardous waste. The all-encompassing concept of sustainable or green mining is introduced. The new Mining Minerals gallery is innovative as compared to mineral museums elsewhere because it covers the entire mining cycle in a holistic way, directly connects to the uses of minerals and augments the other mineral exhibits in the museum. 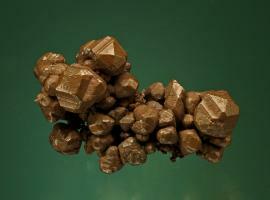 The museum welcomes the University and broader community to visit the museum to learn more about minerals and mining. Admission is waived for current Michigan Tech students as well as faculty and staff and their professional guests. Until November, the museum is open from 9 a.m. to 5 p.m. Monday through Saturday. The A. E. Seaman Mineral Museum is looking forward to a new exhibit in the Phyllis and John Seaman Garden. A recently donated specimen of float copper, weighing approximately 400 lbs., with a beautiful green patina will become a center piece in the garden next spring after a stand is fabricated. The specimen was donated by Val Vaughan-Drong of Inver Grove Heights, Minnesota and Karen Brown of San Antonio, Texas in honor of their late parents Harry and Aili Vaughan. 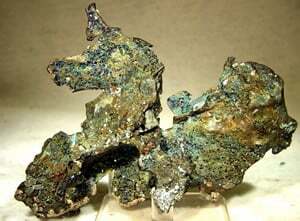 The float copper was discovered on the Vaughan property off Pike River Road near Chassell. A second new outside exhibit will be located in an extension of the garden towards the Copper Pavilion. Patricia Carlon, of Bloomington, Illinois, donated a kibble to the museum in honor of her late husband, John Carlon, who was a long-time mineral dealer. A kibble is an iron bucket that was used to raise ore and waste rock from early mine shafts in the Keweenaw Peninsula. The kibble was found at the Robbins, or West Vein Mine, near Phoenix by a local deer hunter about 50 years ago and sold to a mineral dealer who resold it to Carlon. Michigan Tech geology alumnus Ross Lillie ’79, owner of North Star Minerals in Traverse City, helped connect Carlon to the museum. Lillie describes this 1860s vintage kibble as a “historically significant, desirable mining artifact in outstanding condition with superlative provenance.” The kibble will go on exhibit next spring after a custom-designed display is constructed. Emily Gochis, Ph.D. candidate in GMES has been appointed as the director of the MiSTEM network in Region 16 of Michigan, which covers Keweenaw, Houghton, Ontonagon, Baraga, and Gogebic counties. The new regional network, which replaces the Western U.P. Math and Science Center, has been established to form partnerships and strategies that promote science, technology, engineering and mathematics (STEM) education and career pathways. These careers are often difficult to experience before a student reaches college when it becomes expensive to explore different career options. Presenting K-12 students with opportunities to experience hands-on STEM applications lets them consider these careers for themselves before making a college choice. “I’m going out and communicating with anybody and everybody that does anything with science, technology, engineering and mathematics in the region, just trying to connect with all of them in order to create these new opportunities,” Gochis said. Pictured: Emily Gochis as a PCV in El Salvador, contributing to our hazards research as car-battery sherpa. The batteries are used to power monitoring equipment on the volcanoes.